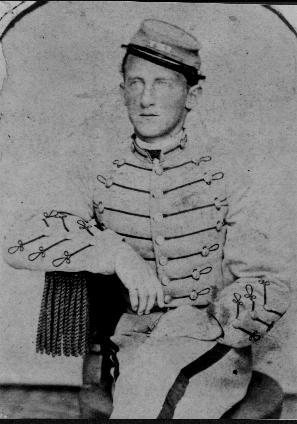 On the back of this photo (in pencil) is written "Robert Jennings Yancey". (Williams) Yancey, 1874-1951. This photo we believe was taken around 1890-1900. It is a process that was explained to us as being ink brushing. The photos taken by C.R. Yancey which are ink brushings, were not in the possession of my g.g. grandmother, but instead were found in a box of photos that were in my grandmother's attic. These photos were not my grandmothers, but had been in her attic for at least 24 years. Many of the photos that mom found in the attic have been identified as Yancey family members including a wedding photograph of Richard and Lola (Tinker) Yancey. It is believed that when some of the Yancey family moved to the Oakland California area that they handed over the photos to either the Barrow or Kelly families for safekeeping. First married to Alice Q. Tayor then to Lillie Effie (Williams). 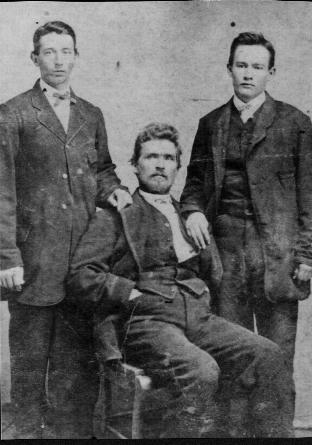 (These fellows are the sons of Joel A. Yancey (1830 -- 1907) and Alice Q. Taylor. 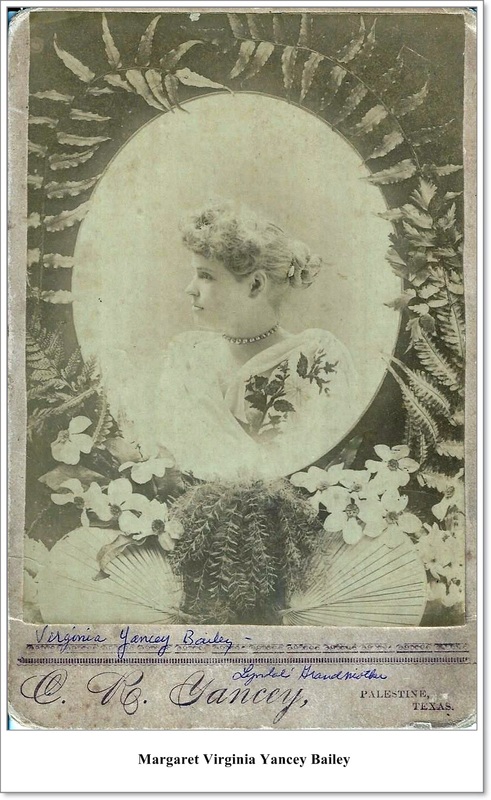 Believed to be Margaret Virginia (Yancey) Bailey but not positively identified. Effie, just a young girl, nearing the age of 17, found herself in a troubling situation, which she had to do a lot of thinking about. She'd met a young fellow, John Sterling Yancey, and they'd become very good friends. They had been spending lots of time together and he had even mentioned the fact that he'd like for them to get married. What he didn't know was that his father, Joel Yancey, at his advanced age, was also interested in Effie, but she had not been taking him very seriously. Joel had lost his wife, Alice, in 1875 when John Sterling was only 5 years of age. It was not long before Joel let her know that he was very serious about her and that he, himself, would make a better husband for her. Although Effie knew that John Sterling would be very hurt if she married his father instead of him, she had to tell him of her decision. He, being the kind fellow that he was, told her that he understood the situation which she was in and that he would have to let her go. 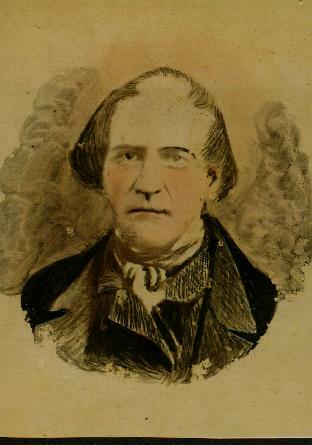 It was not long before Joel and Effie were married [He was about age 60 and she was age 17 ], although it was difficult for her to let on that she was not totally content with their marriage and that she never thought about John Sterling except for the fact that he was her stepson and she would have to live with that. Effie went on with her life as Joel's wife as she had promised. He was good to her and she was good to him. They had a family of six children and had been married for around seventeen years when he talked her into making a trip to Texas, possibly not letting on to her that he was very ill. They were in Texas only a short time when she had the difficult task of telling their children that their father had passed away. He was laid to rest at the China Cemetery there in Texas where so many of his folks had gone before him. Effie shortly began to prepare for the trip back home. She very soon noticed that her family was becoming a handful for young Kiger. The whole situation was becoming too much for Effie, too. She, eventually decided that a divorce was the only solution to her problem. 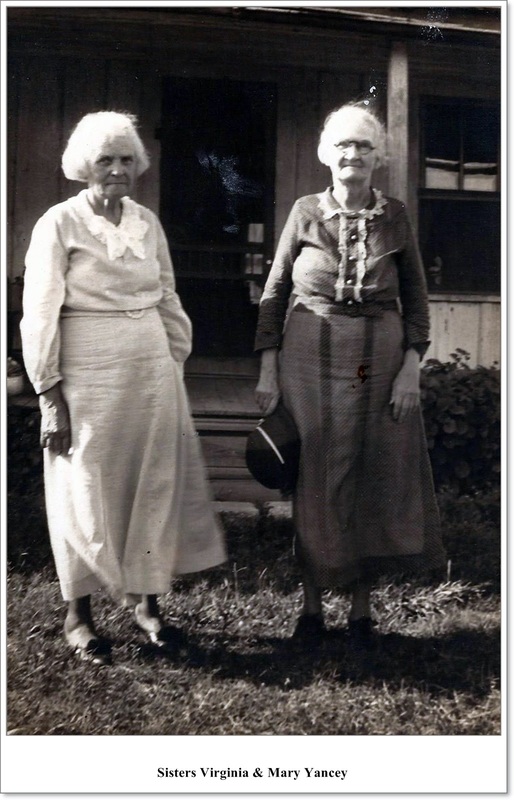 Her daughter, Sallie, was already married to a very kind man, but Effie had her sons, Tarn, Richard and Frank, along with daughter, Beulah, to think of. Effie later married a Mr. Kendrick of Des Arc. They took up residence in the town of Piedmont. 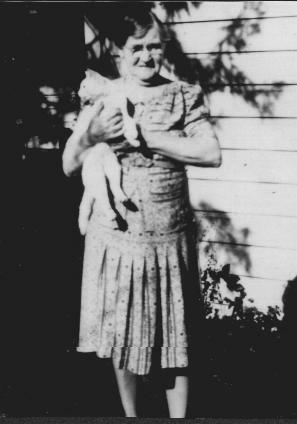 Although her boys were about grown, there was her little Beulah to take care of along with her mother, Sarah Emily. Mr. Kendrick brought with him into this marriage... his four young children. Needless to say, this was a big handful for Effie and eventually became more than she could handle. She eventually sued for a divorce from Mr. Kendrick During that time, her daughter, Beulah, became very sick and shortly passed away. Effie's boys grew up and married and raised families of their own. They eventually wound up in California where they found steady employment. After the death other mother, Sarah Emily, Effie decided to follow her boys to California. 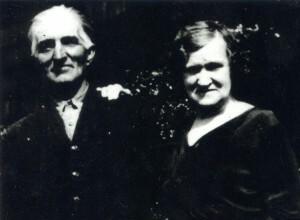 Although she would be leaving daughter, Sallie, and her family behind, she knew that Sallie's husband would take very good care of her and, too, she knew she would be able to travel back to Wayne County to visit with the family. After Effie was in California for a short time, she was contacted by John Sterling Yancey. He had followed her to California as he'd never forgotten her and hadn't forgotten the feelings he'd kept hidden all these years. They again became good friends and he eventually asked her to marry him; but, after thinking this over for a short time, she declined. After all he was still her stepson and she, being a woman of great integrity, didn't feel that this would be the proper thing to do. They remained close friends for the rest of their lives. 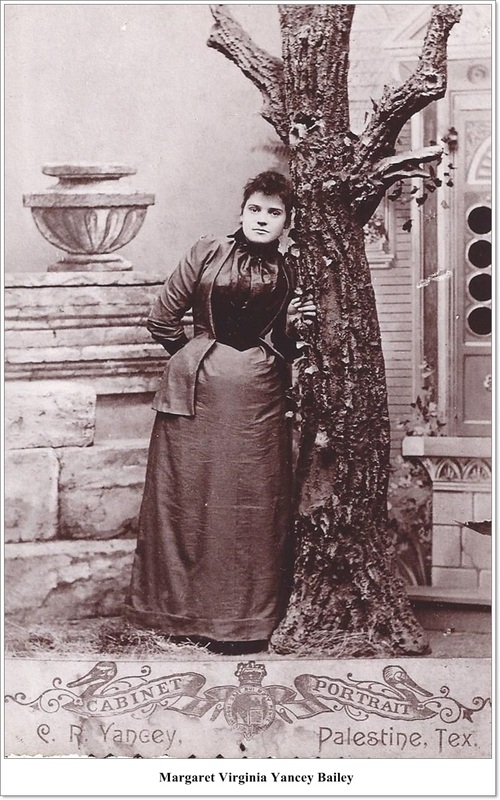 Mary Lillie Effie (Williams) Yancey 1873-1951. 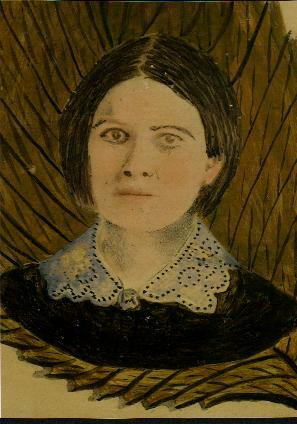 Wife of Joel Yancey 1830-1907.